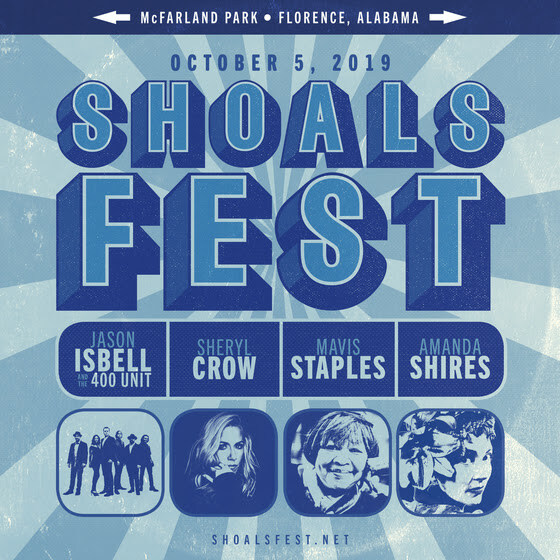 On Monday, Jason Isbell announced plans for the inaugural ShoalsFest, a one-day music festival slated for October 5 in Muscle Shoals, Alabama. Isbell and his band the 400 Unit will play alongside Sheryl Crow, Mavis Staples and Amanda Shires. The festival will take place at Florence, Alabama’s McFarland Park. (Florence and Muscle Shoals share a metropolitan area.) ShoalsFest will accommodate up to 5,000 attendees. Tickets go on sale March 25 at 10 am CST. For more information, visit www.shoalsfest.net.